On the 3-4th of September in Moscow, the «Filato» two-day seminar was held at the central KAMI central office, aimed for regional offices! 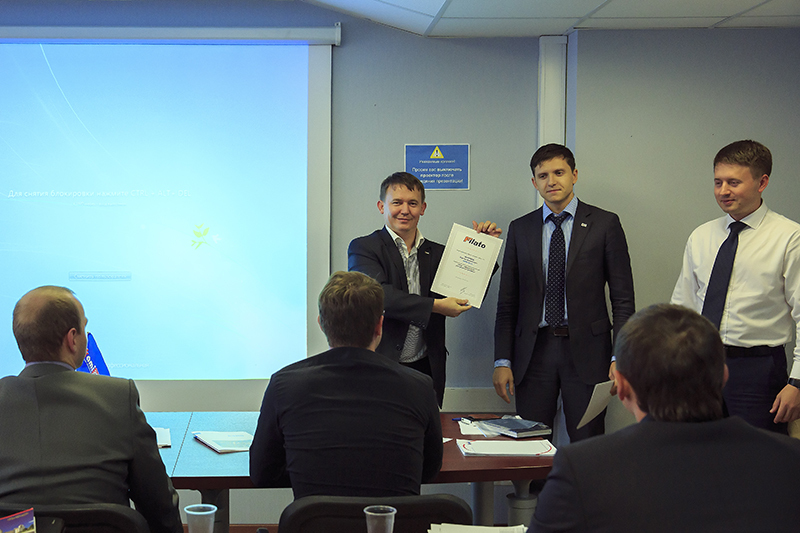 13 specialists from 11 regions offices participated in this seminar. 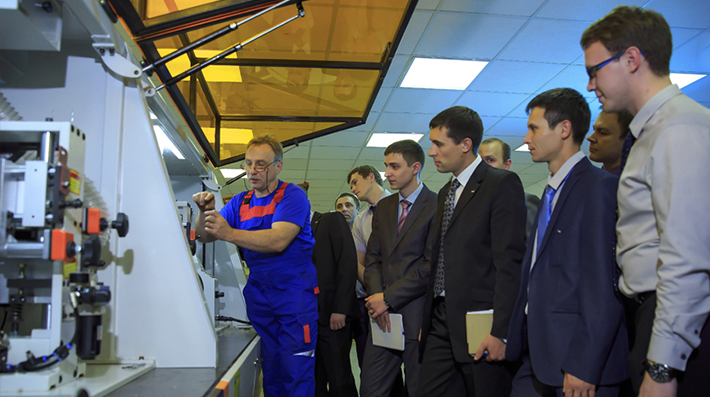 As part of the program there was a review of new products in 2014, such as FL-130, FL-431 models of edge banding machines, FL-23 model drilling and boring machines, the new «Beaver RF» CNC milling machine for radial facades, «Masterwood» processing center. The presentation of design changes and improvements have already proven in earlier models of the entire «Filato» and «Beaver» classification was in the agenda too. 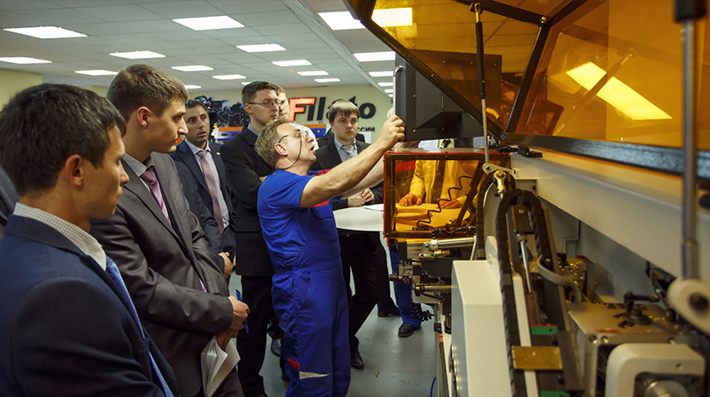 The participants of the seminar have got a detailed information about the factories, which produce these machines and have got the all technical features of the process of manufacturing of these machines too. 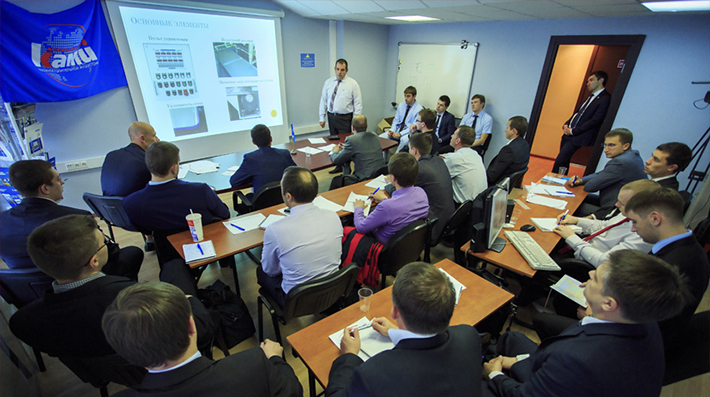 The theoretical part of the training was conducted by the leading specialists of the Central Office, who have visited the factories many times and have got a long learning. Practical classies were conducted by our service leading engineer’s using the equipment presented in the Exhibition Hall. As well for training customer, our service department has prepared a separate class item dedicated to schedule maintenance for machines and SP&TA. Special attention was paid to the instrument and tools features and its preparation, KAMI experts told how the tools can affect the quality of products. After the training, all managers have been certified successfully and received Certificates of Conformity — «Specialist for Filato brand machines». Now, while contacting to the KAMI region offices, you can get the most professional advice on the latest developments of designs and models, as well as can see machines in operation in showrooms or buy on stock. Glad to see you in our offices! Daily from 09.00 to 18.00 except Sat, Sun. 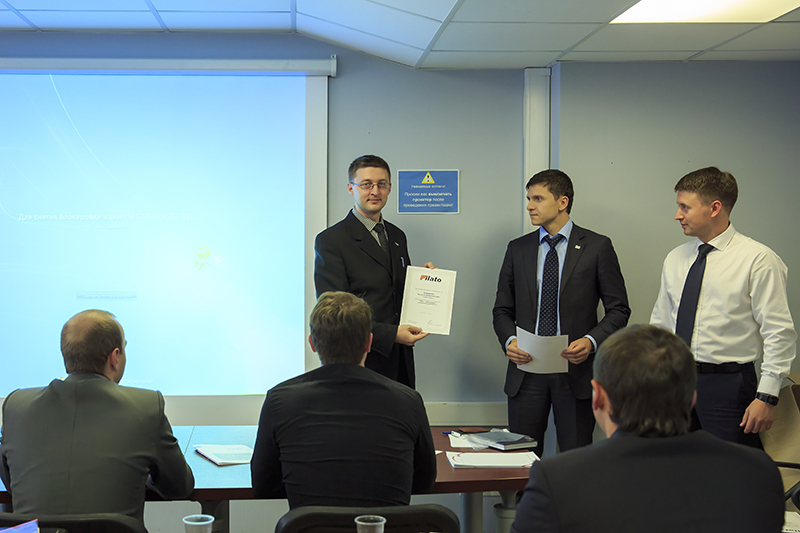 «KAMI - COMPLEKT» CONGRATULATED «STEKLOMIR» COMPANY ON ITS 15TH ANNIVERSARY.